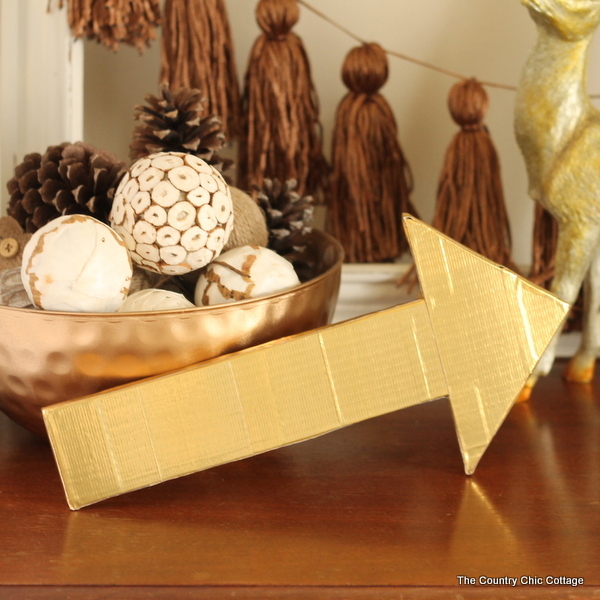 You can take old cardboard boxes and turn them into this fabulous metallic gold arrow in 15 minutes or less! Follow along below for the instructions. This is part of a series of 15 minute recycled crafts for Craft Lightning. Be sure to check out the ideas from day 1, day 2, and day 3 if you missed them. There are also tons more ideas at the bottom of this post so be sure to read all the way to the bottom. 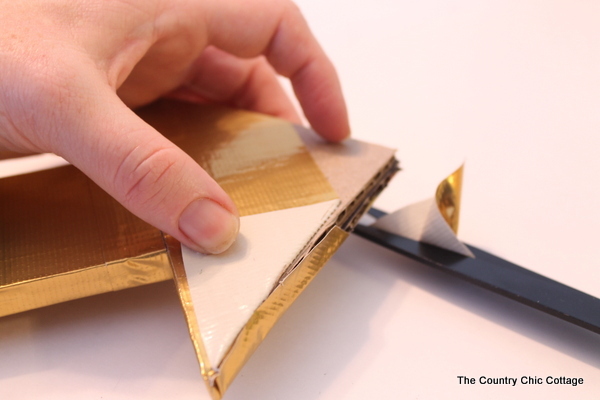 You are basically going to be using a variety of cardboard boxes and covering them with metallic gold Duck Tape . There are quite a few steps below but they are really just showing you how to get a clean finished look with the Duck Tape. It is a simple project I promise! 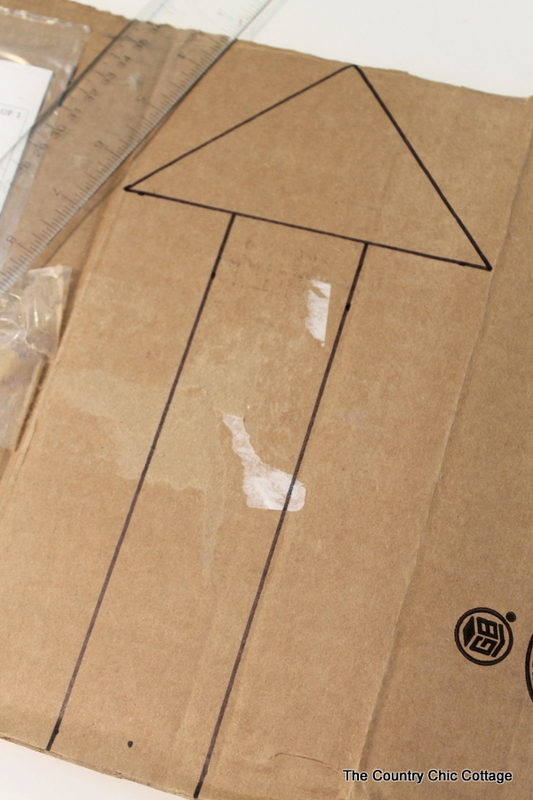 First draw an arrow onto any old cardboard box using a ruler. Use a straight edge and a craft knife to cut the arrow out. 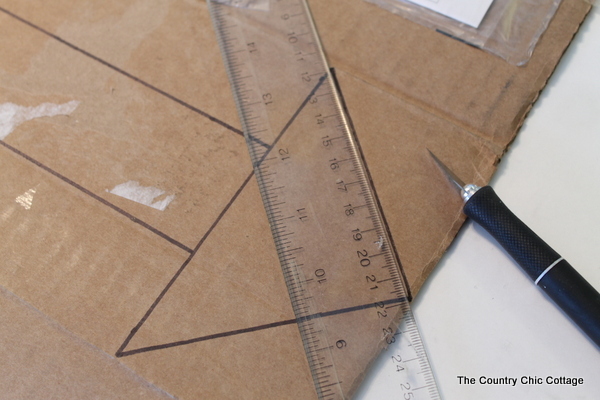 Use that arrow to trace the pattern onto a few other pieces of cardboard. Cut out the same way with the straight edge and a craft knife. 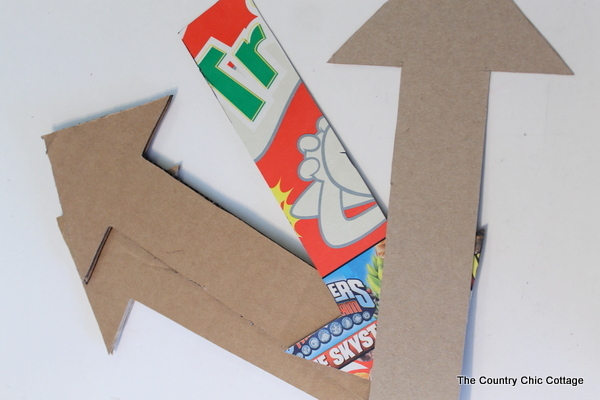 I used four cardboard arrows as shown below for my project. Be sure to use smooth cardboard for the outer arrows. 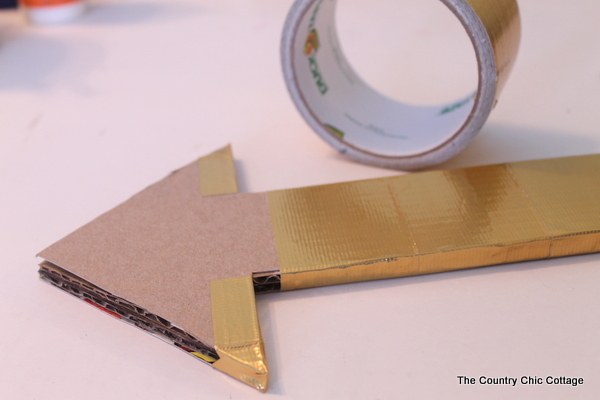 Stack the cardboard arrows and now it is time to cover with Duck Tape. NOTE: For my project I used the Fiskars Crafts Duck Edition Scissors . They have a non-stick blade that will make this project go a little faster. Start with a piece of Duck Tape on the very end of your arrow. 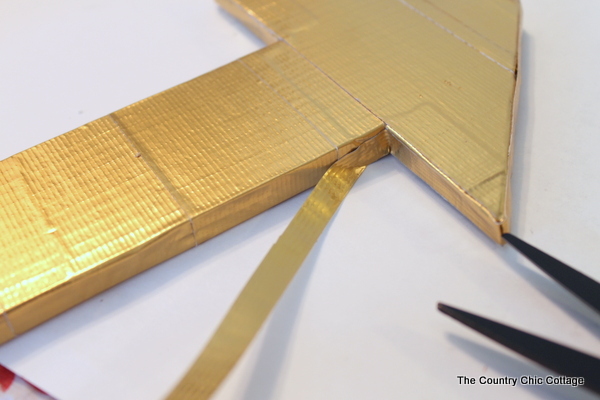 Then move down and place strips of Duck Tape all along the skinny portion of your arrow. I cut my strips so that they covered the front and back of the arrow. 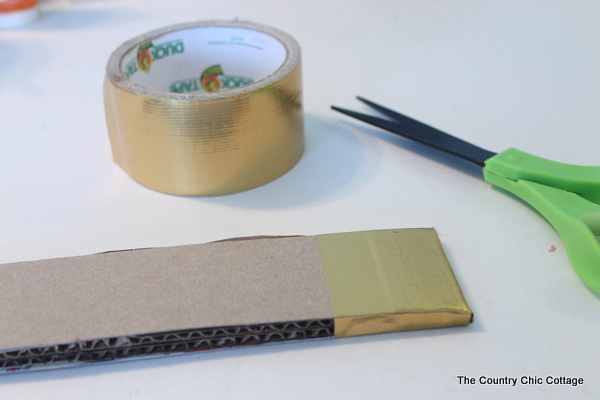 Slightly overlap each strip to get a clean look to your finished project. 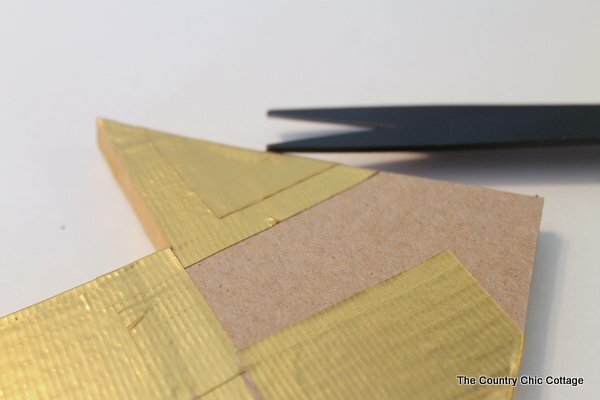 Now place a couple of pieces on the end of the triangle portion as shown below. Getting these angles covered and looking good is a little tricky. Start with one long piece and place on the long end of the triangle. 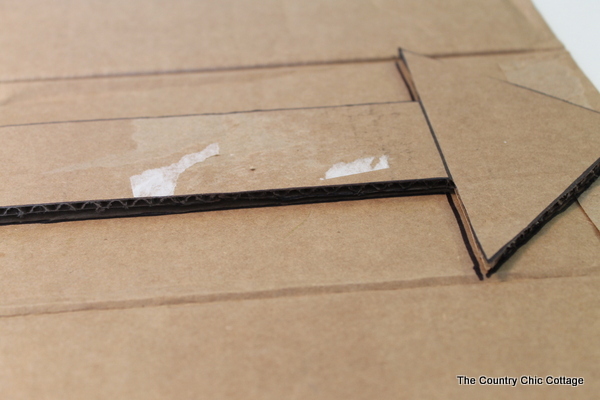 Flip around back and cut ALMOST through the tape as shown below. Adhere that back piece down to your arrow. Then bring the back piece up and trim so it just fits over the raw edge. Wrap the front piece around to the back. Now your back will not be completely covered but you can fix this at the very end with a few more pieces of Duck Tape. Right now repeat the above process and cover that entire triangle. Now lets clean up this arrow and get it ready to display. 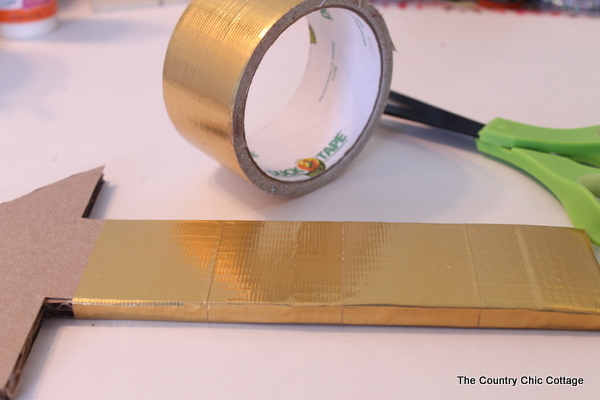 Cut thin strips of Duck Tape and run them around the entire edge. 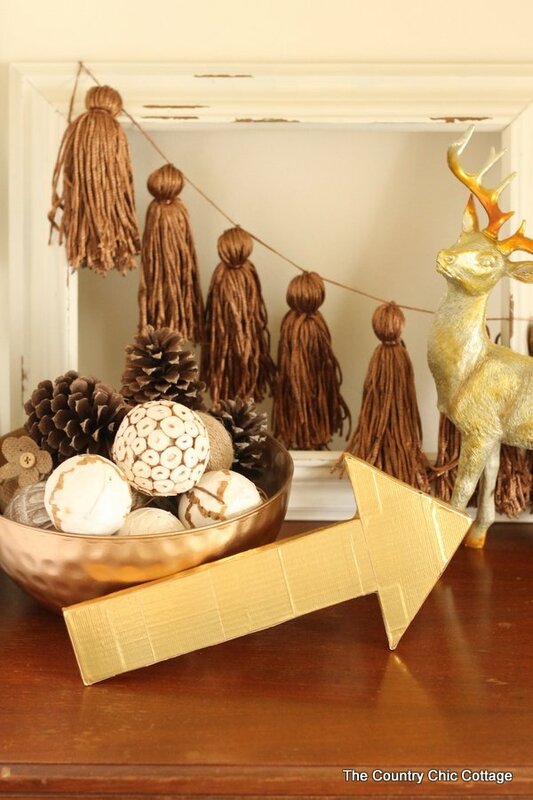 Display your cardboard arrow proudly in your home. No one will know it is just some old recycled cardboard boxes. Don’t love the arrow shape? 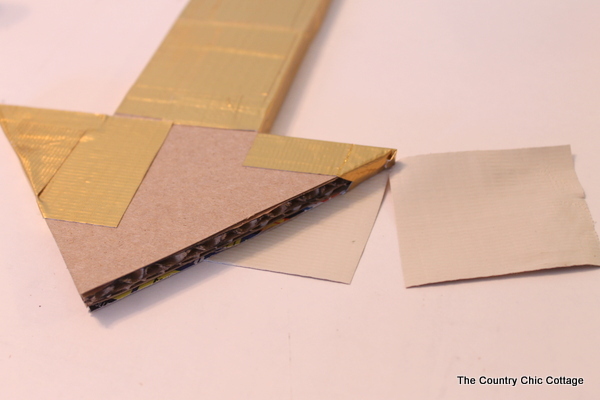 You can cut out any shape you wish from the cardboard and use metallic gold Duck Tape to cover it. Make a one of a kind art piece for your home from recycled materials. 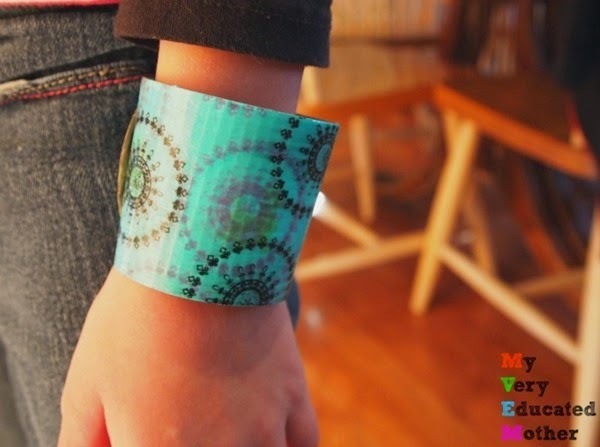 Now for even more recycled crafts that you can make in 15 minutes or less for Earth Day or anytime! Kicking things off today is Kim with A Girl and a Glue Gun. 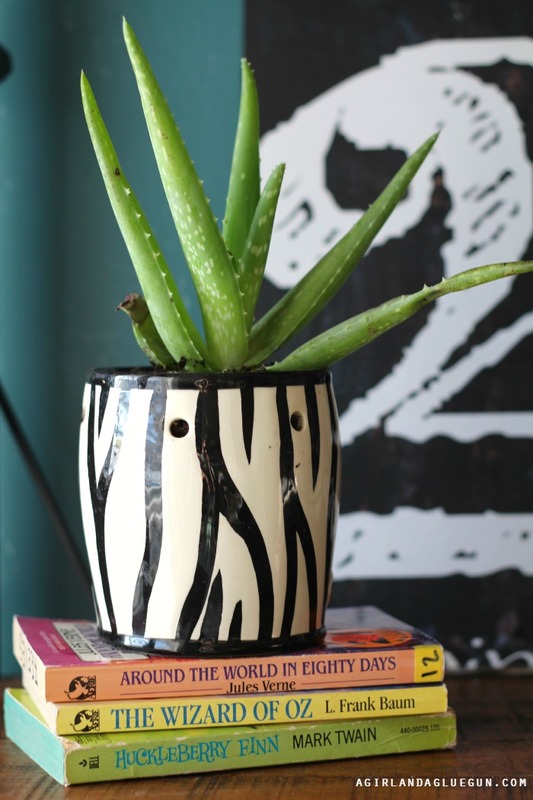 She took an old broken Scentsy pot and turned it into this great planter! Need a great bracelet? Why not recycle a coffee sleeve like this one from My Very Educated Mother. Click here to see more and make one for yourself. Need a place to put all of your pens and office supplies? 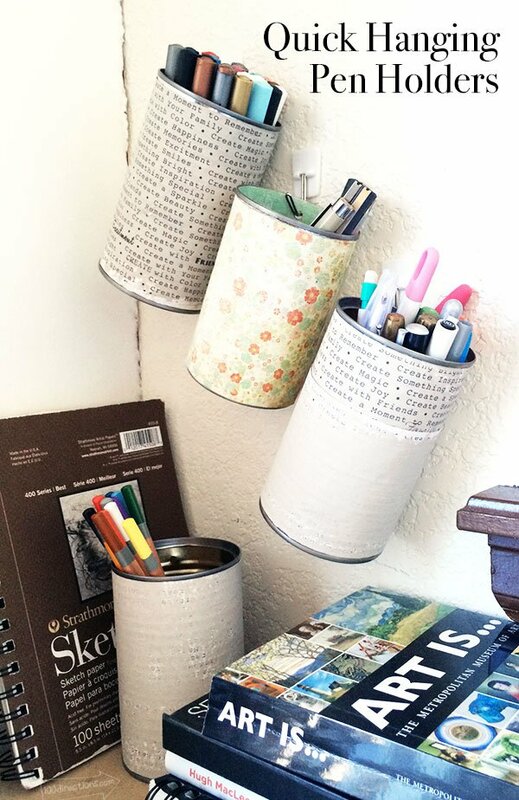 Let 100 Directions show you how to make these quick hanging pen holders from tin cans. Need an Easter basket? 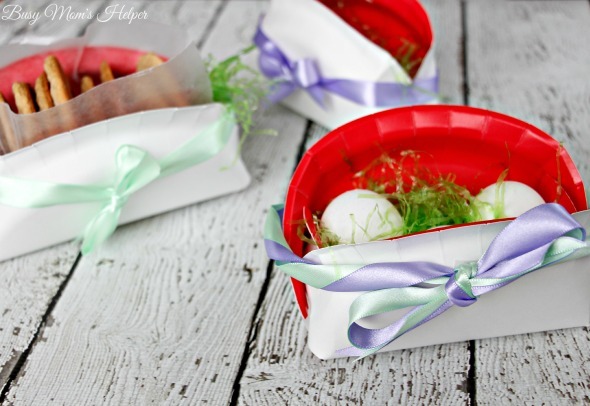 Make one from a paper plate like these from Busy Mom’s Helper. Such a cute and super quick craft! Need an ice bucket? 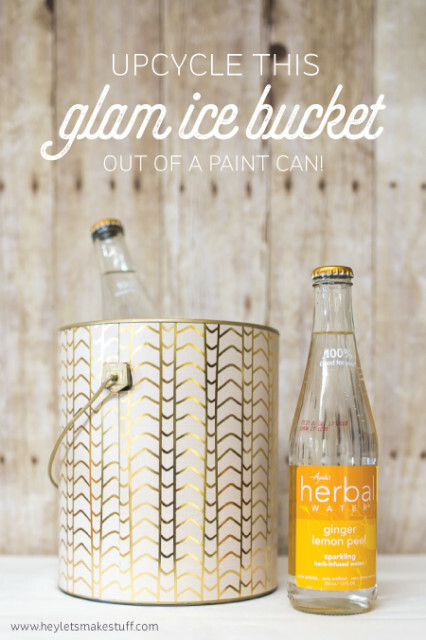 Make one from a paint can! This glam transformation is from Hey Let’s Make Stuff and is just perfect! Don’t throw out those old jars from candles. 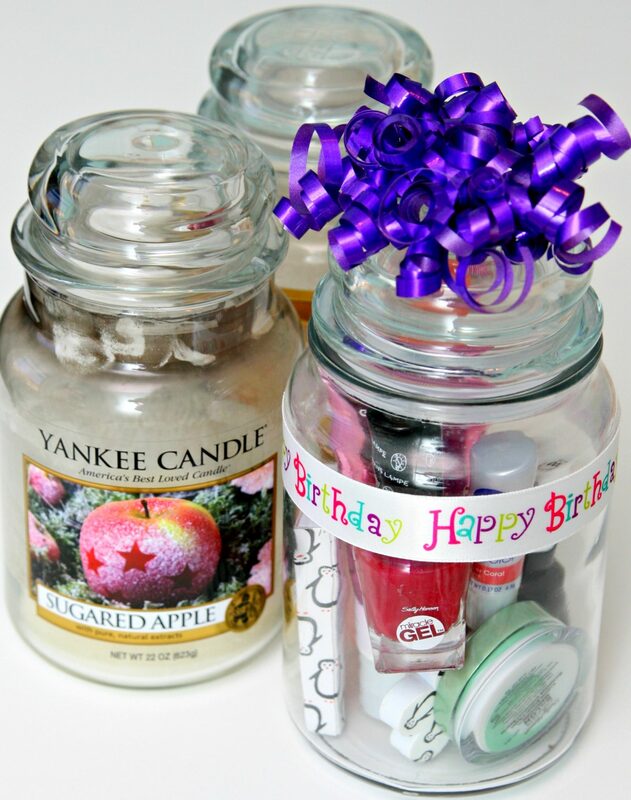 Clean them out and add a happy birthday gift in a jar like this one from Happy Go Lucky. 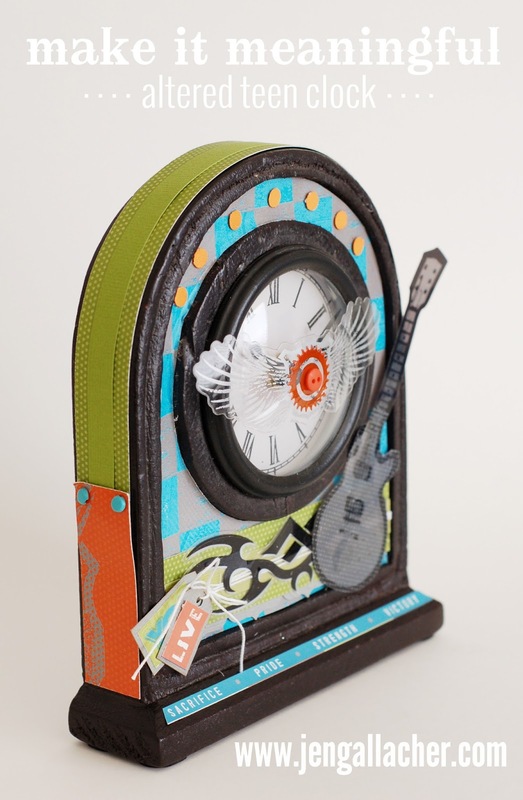 Take an old thrift store clock from tired to fabulous like this one from Jen Gallacher. This is perfect for a teen room. Change it up for any room in your home! 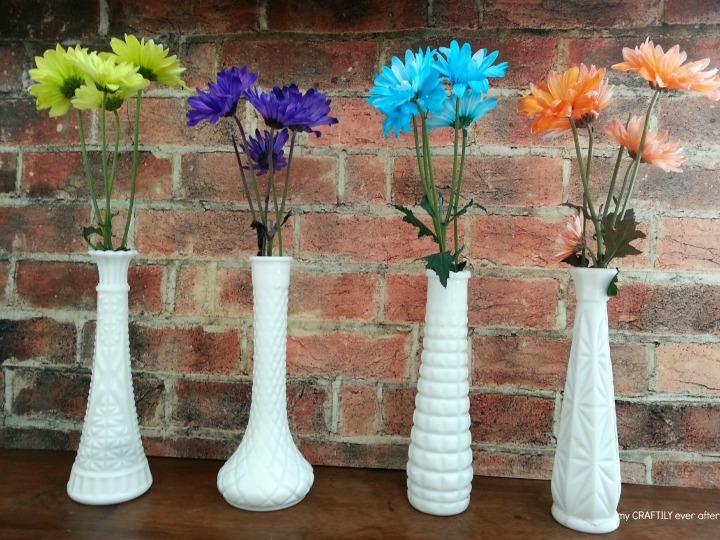 Have a ton of mismatched vases? No problem! Make them into a centerpiece like this one from My Craftily Ever After. My partners for this series have some great crafts today as well. 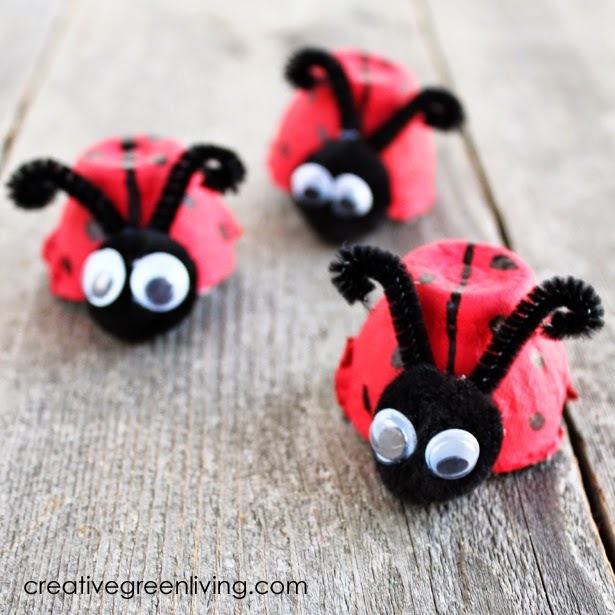 Recycle those egg cartons into adorable lady bugs like these from Creative Green Living. 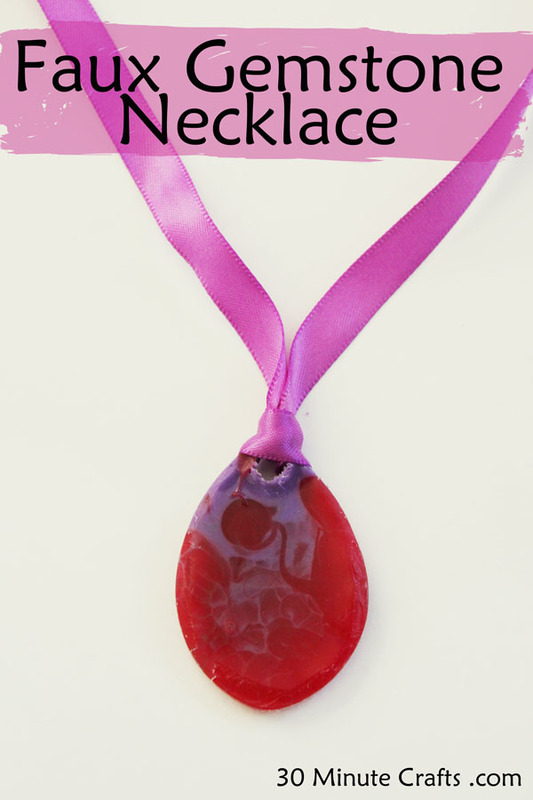 Use a toilet paper roll and mod melts to make this faux gemstone neclace from 30 Minute Crafts. Need more quick and easy crafts? Be sure to follow our Pinterest board for crafts like these all year! thanks girl! love your arrow! !